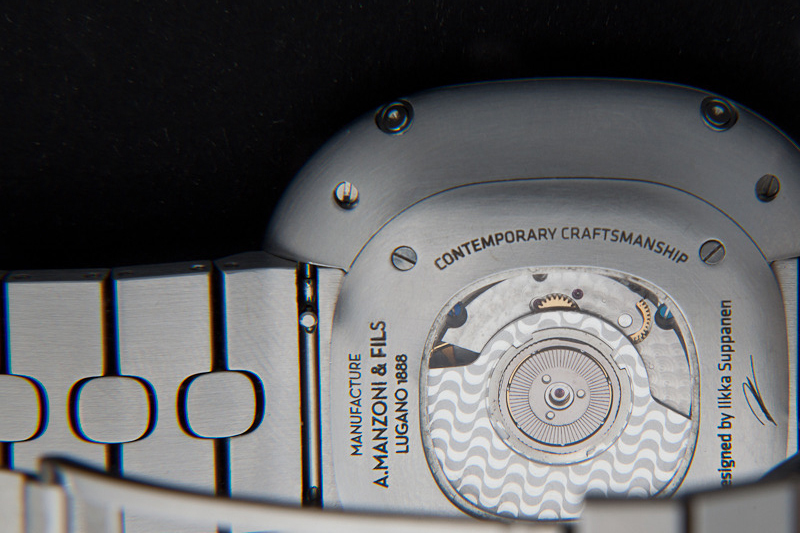 True Industrial Design in Watchmaking. A.Manzoni & Fils. “Design is like a bridge between a company and a consumer which can build a trustworthy and reliable friendship.” that statement marks the thinking behind the relaunch of the Swiss watch brand A. Manzoni and Fills. A kickstarter project being spearheaded by Oliver Ike, and Ikka Suppanen is bringing together the best of Swiss watch making with modern industrial design aesthetics. 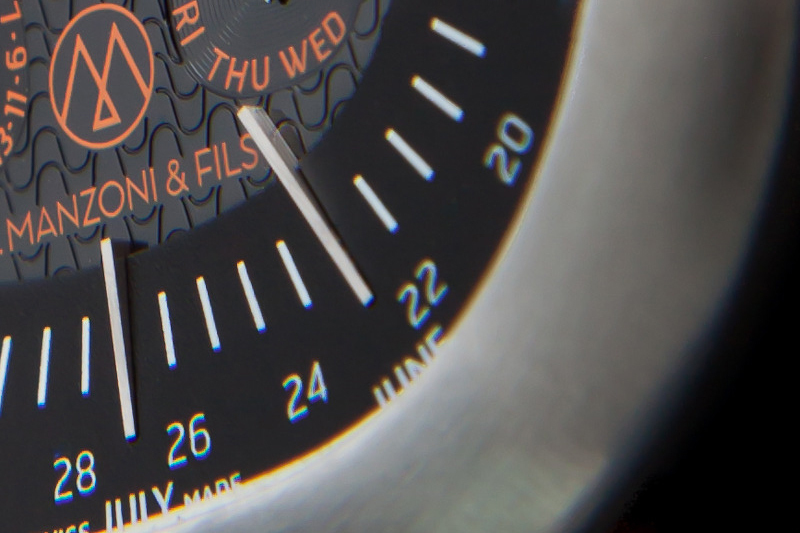 The result–fantastic looking watches, great packaging, and brand identity. From the photos posted on the Kickstarter page, it looks like Ike and Suppanen are bringing it. The two chose to resurect the A. Manzoni and Fills brand because of the storied history of the firm that was originally launched in 1888 in Arogno. 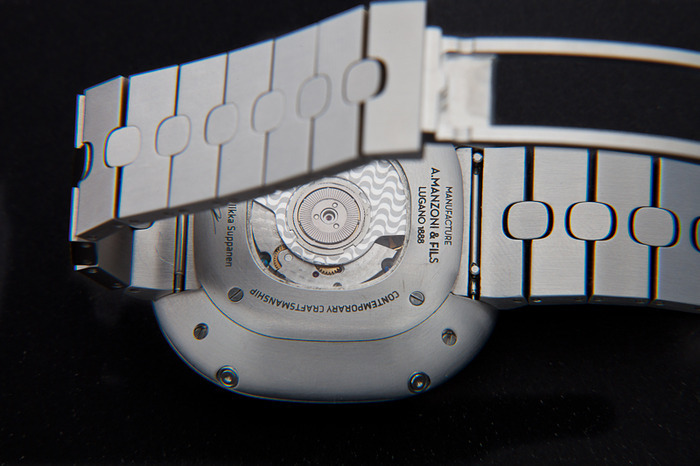 A.Manzoni & Fils produced watch movements until closing 1978. Ike has worked with Suppanen for 3 years to develop this series of timepieces. The product is filled with cultural referencing in detail, sensual shape and interesting mechanical functions. Through this they have recreated the original Swiss craftsmanship that A. Manzoni & Fils became famous for. For more information and photos click the links above. Posted in Design and Art, Watches and tagged A. Manzoni and Fills, Ikka Suppanen, Kickstarter, Oliver Ike, Swiss Watch, Time Piece, Watches on June 24, 2013 by Author. ← Wireframe, Prototype, Simulation Tools. The Giant Infographic.